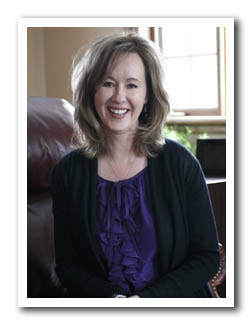 Ingrid is a registered Social Worker with the Ontario College of Social Workers and Social Service Workers (OCSWSSW). Ingird's approach in working with individuals is collaborative, strength-based and client-centered utilizing evidence-based treatments in order to ameliorate emotional distress and suffering. She specializes in trauma assessment and treatment, stress and anxiety management, intimate partner violence, depression, grief and loss issues. Ingrid was trained in CBT (Cognitive-Behaviour Therapy); TFT (Thought Field Therapy); TIR (Traumatic Incident Reduction) and Narrative Therapy. In addition to Ingrid's adult psychotherapy practice, she also provides Corporate Crisis Consulting and onsite crisis intervention support to organization who have experienced a critical incident/traumatic event in the workplace. "I have been privileged to work as a clinical social worker for over 25 years. It has been an honour to companion people in the midst of profound pain while witnessing the resilience of the human spirit." Outside of my work I enjoy spending time with those who have special meaning in my life. I am trying to find more time to travel and to improve my golf swing!"